Since forming in 1985, The Kadillacs have performed for countless public and private events across entire nation. 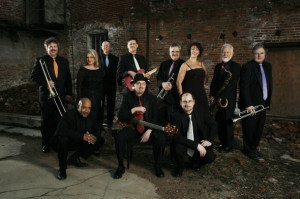 11 piece show band with 4 smoking horns, 2 female vocalists, & 2 male vocalists. The Kadillacs polished sound is reknown from coast to coast. Since their origin in 1985, the Kadillacs have performed for countless corporate functions, national and regional conventions, society and charity balls, festivals and private parties. The following is a list of a few of the more notable events at which they have performed during the past few years. Three Presidential Inaugural Balls: Ronald Reagan (2 terms), George Bush, Sr.
Nashville; July 4th Celebrations, 10 yrs. 42nd Street My One & Only E. Hawkins Dance Co.